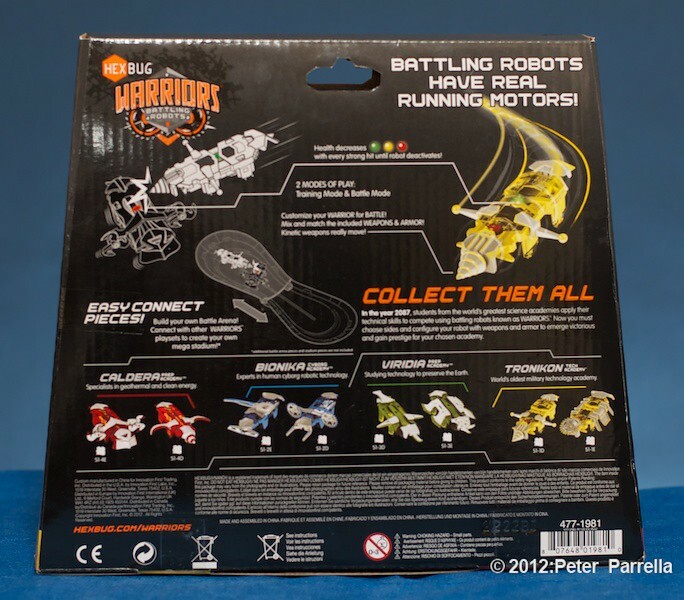 Anyone who has read this blog in the past knows I’m a fan of Innovation First Labs Inc. and their line of robotic toys. 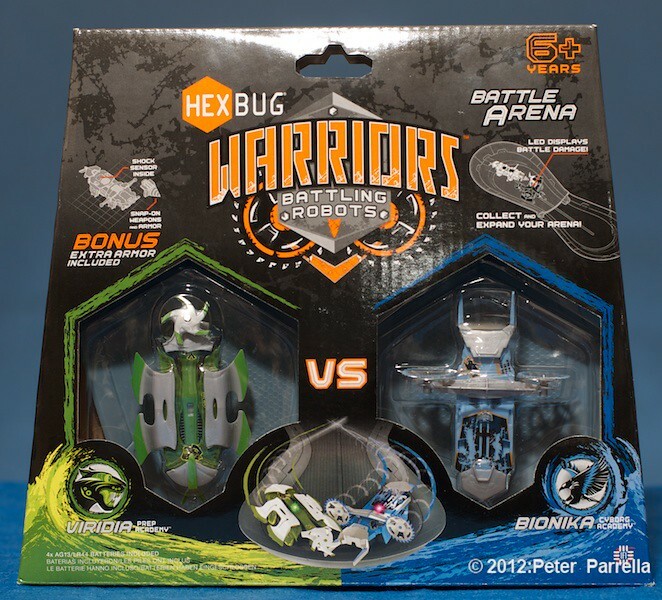 My favorites are the arthropod inspired Hexbug Nanos. I just love to watch the meanderings of these self propelled creatures along the modular tracks you can design and expand yourself. After a while they seem to take on individual personalities. Needless to say a selection of Hexbugs, tracks, platforms and corrals (as well as the “Battle Bridge” kit) made a great gift for my Godson – and for me as well. 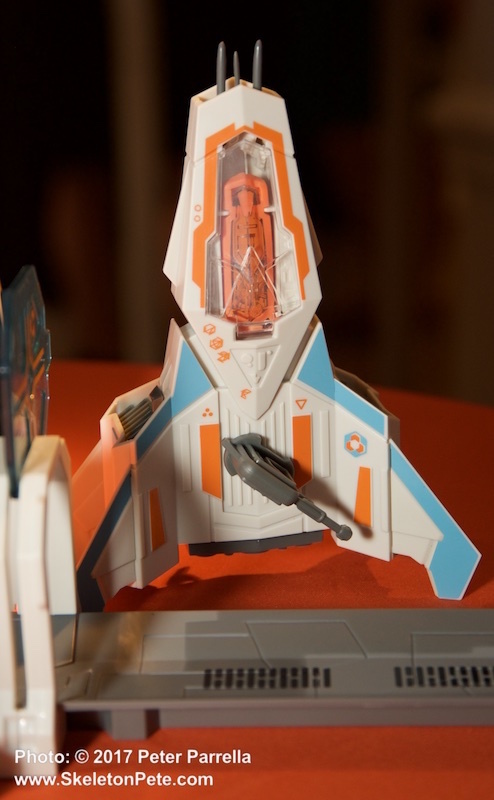 At Toy Fair 2012 Innovation First Labs gave a sneak-peek at their newest spin on the product. 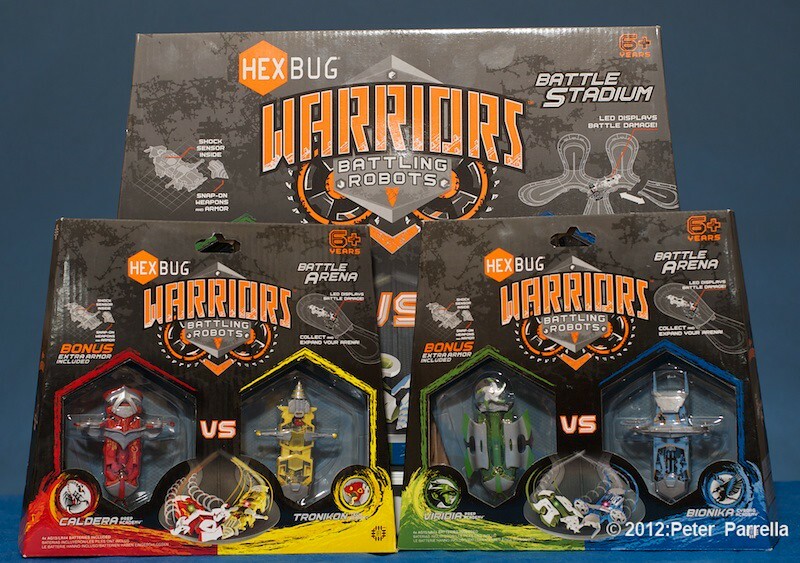 They’re called Hexbug Warriors Battling Robots. It was clear from the prototypes and their accoutrements that this was going to be a grand addition to an already fun franchise. 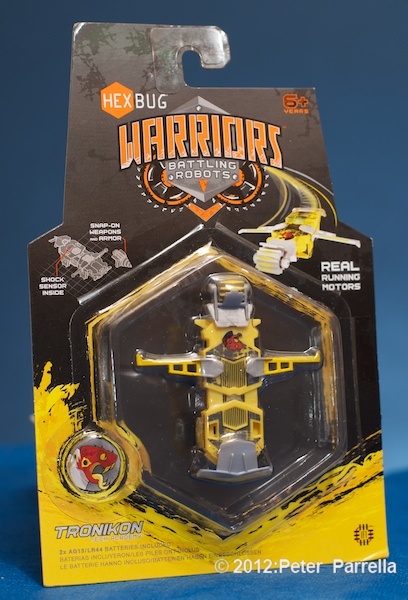 Taking a page from Harry Potter and X-Men, as well as real life school robotics competitions Innovation First supplies parts for, the Warriors are back-storied to be the creations of four fictional student “academies” in the year 2087. They are color coded to note each academy. Caldera Prep (Red), Viridia Prep (Green), Bionika Cyborg (Blue), Tronikon Tech (Yellow.) 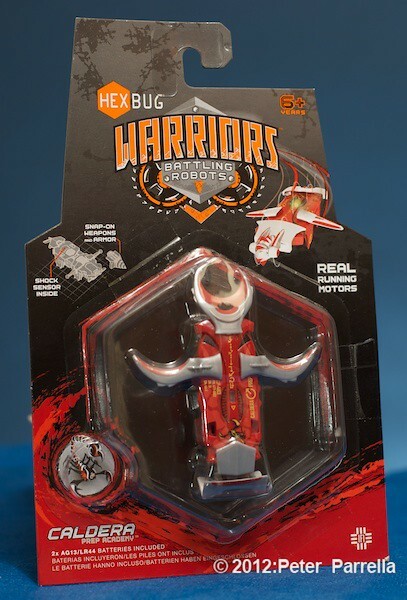 Each of the Warriors can be outfitted for battle with a range of armor and weapons. Saw blades, pinchers, scoop wings, borer cones, side plates and other pieces can be mixed and matched to your desired effect. 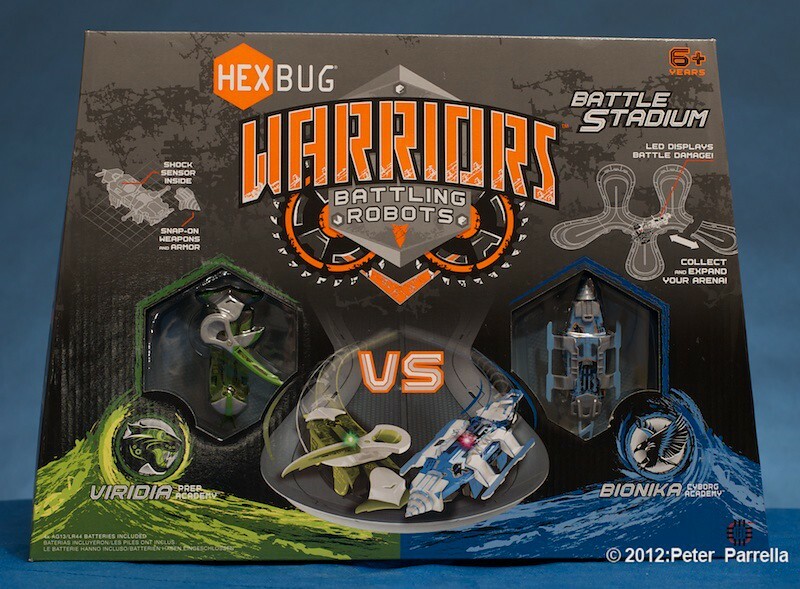 Whereas the earlier Bridge Battle kit pitted Hexbugs against each other in push and shove matches – with losers being knocked off an elevated concave arena – Warriors ups the ante with a “last man standing” motif. This is driven by sensor tech inside the robots. 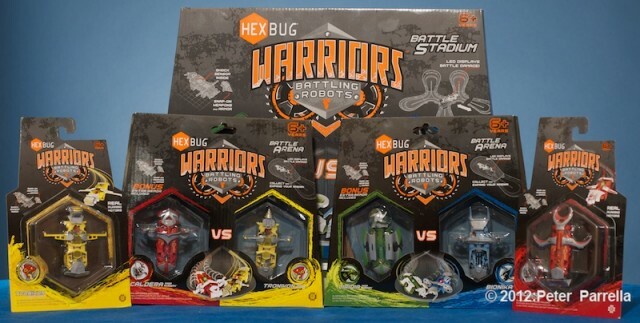 Each Hexbug Warrior has an LED light that signals its current health state in Green, Yellow or Red as it wages battle. Eventually the shock sensor will shut a Warrior down after its maximum number of hits. The ultimate victor is the one still running. 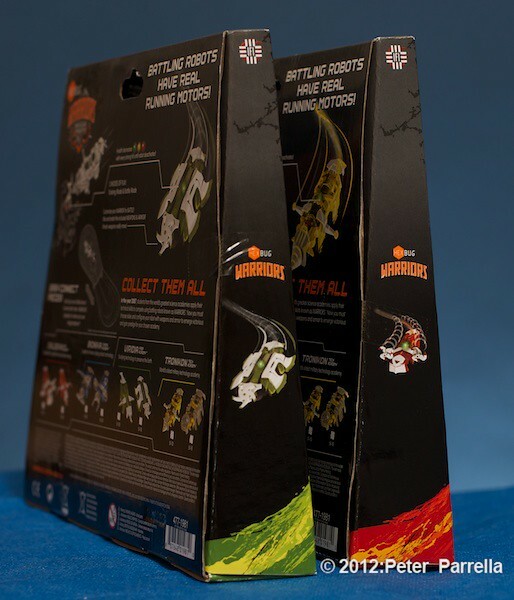 This first installment of my review gives you a look at the packaging variations. It will be followed next week by up close images of the individual Warriors, their battle armor and weaponry. The third report will enlist some family members a real world view of game play. 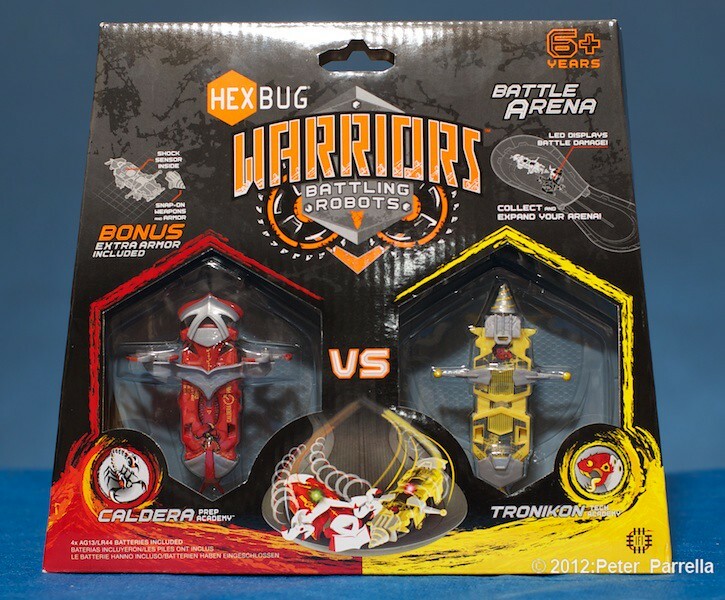 My previous coverage of the Hexbugs line can be read here.